"The Lifespan of a Fact" is a new Broadway comedy about truth and fiction, with an A-list cast composed of Daniel Radcliffe, Cherry Jones and Bobby Cannavale. Hear Theater Critic Howard Shapiro's review of this play on In a Broadway Minute this week, Friday (11/9) at 8 am and Saturday (11/10) at 10 am. 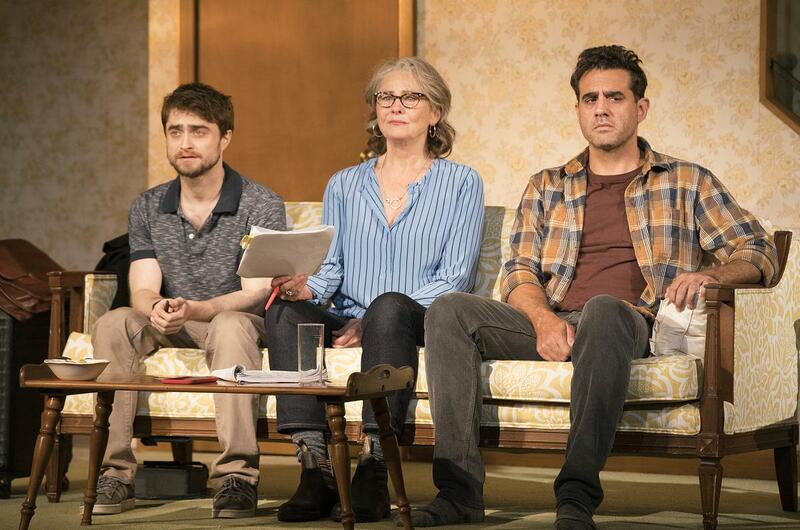 In "The Lifespan of a Fact," from left: Daniel Radcliffe, Cherry Jones and Bobby Cannavale.